Our Booking service is real-time. Select check-in / check-out date and book online. You will not find the same apartment at lowest price – we guarantee. 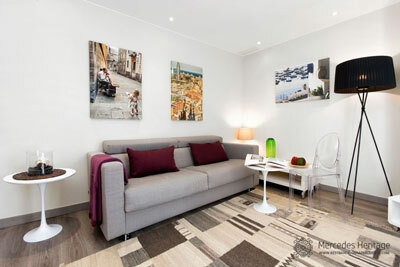 Our apartments located in the center of Barcelona, just 15 minutes walking from Plaza Cataluña. Our multilingual team will help you to make your stay comfortable and unforgettable. 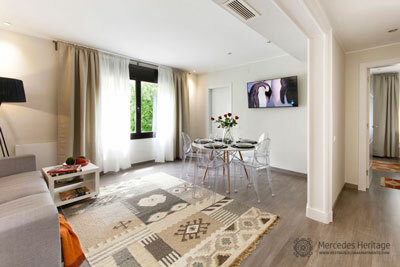 Mercedes Heritage Barcelona Apartments is a company specializing in the management of apartments since 1954 and we have 22 tourist apartments since 2012. 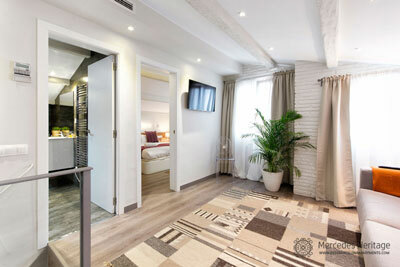 Spacious, fully renovated Apartment, with three double rooms, all with closets, a toilet and a bathroom with tub. The dining room has a large table, sofa bed, flat screen TV and new fully equipped kitchen (fridge, dishwasher, toaster, microwave, kettle, coffee machine and oven). 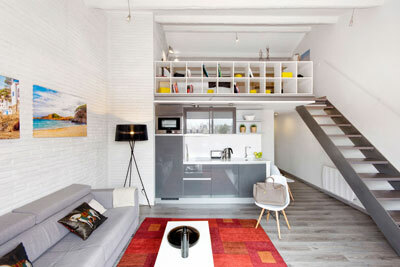 The apartments are all decorated with high quality parquet floor. 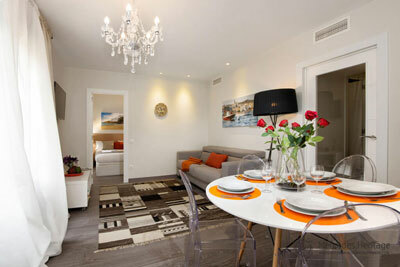 If you want quality and comfort on your trip to this great city, then this apartment is ideal for you. In one of the most picturesque areas of the city, the apartment is perfect for a couple or a family travelling together. The apartment has many eye-catching features such as exposed brick walls, a beautiful hard wood floor and quality furnishings. The living room combines with an open-plan kitchen and contains a double sofa, a flat screen TV with international channels and a dining table with seating for four guests. The modern kitchen comes complete with a microwave, a hob, a fridge, a freezer, a toaster, a kettle and a coffee machine. If you want quality and comfort on your trip to this great city, then this apartment is ideal for you. 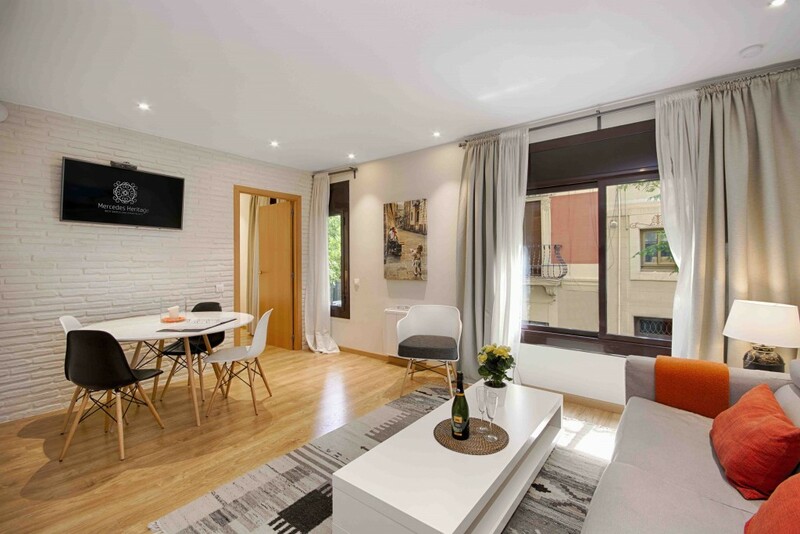 In one of the most picturesque areas of the city, the apartment is perfect for a couple or a family travelling together. The apartment has many eye-catching features such as exposed brick walls, a beautiful hard wood floor and quality furnishings. The living room combines with an open-plan kitchen and contains a double sofa, a flat screen TV with international channels and a dining table with seating for four guests. Staff were excellent and the apartment was incredible. Thank you for such an excellent stay. Will definitely come back! The location is great! The place was very clean and spacious. I would book it again! The apartment is clean. Furniture and plumbing new. Good quality / price ratio. Excellent residential area – quiet, peaceful. 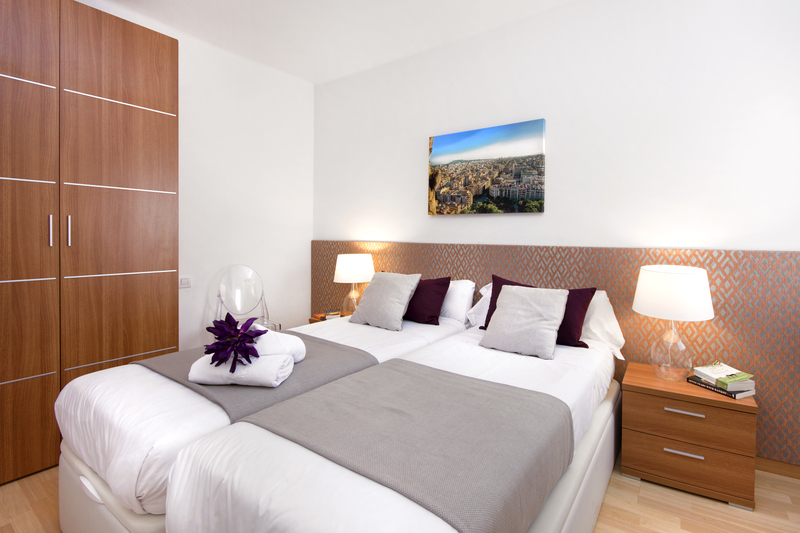 Spacious apartments with large, bright rooms, making you feel right at home. 10% discount offer for non-refundable bookings. 15% discount for long stays (30+ days). Free cancelation up to 48 hours before. 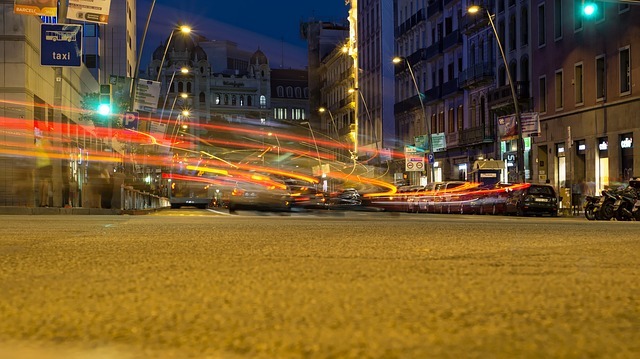 The best location, in a modern district (next to the second-largest market in Barcelona, offering a range of fresh products, and the L5 metro stop Hospital Clínic and buses). 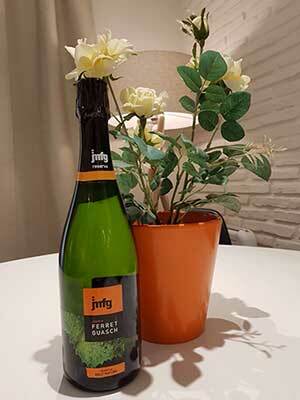 If you book your apartment on our website, you can enjoy a Bottle of Cava as a welcome gift at your check-in.